WORLD FIGHT CHANNEL NETWORK, WFCN a niche TV broadcast dedicated to Boxing, Wrestling, Mix Martial Arts, and much much more, 24 hours a day. WFCN covers all the different styles in the sport (fighting), advertisers seek to elevate their connection to the market or customers, here is a broadcast network devoted to a sport respected around the world with hundreds of millions of customers, that generate hundreds of millions of dollars for the venues, fighters, and affiliated markets, customers are willing to subscribed to cable and satellite for WFCN increasing their customer base daily. Hall of Fame Boxing Referee, Richard Steele is a former member of the United states Marine /corp., and famous boxing referee. 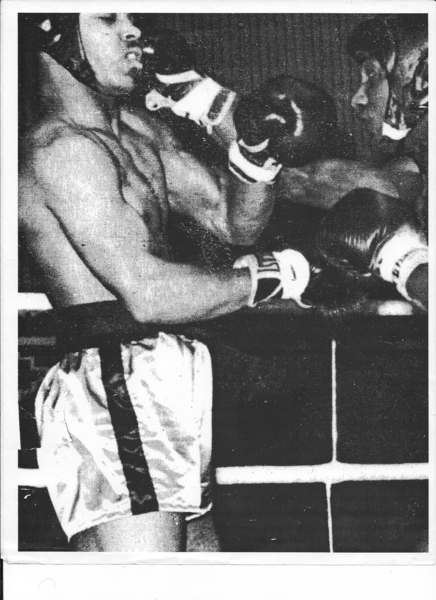 Steele was a teammate of Heavyweight Champion Ken Norton. Outside the boxing rings, Steele has made a name for himself as a community conscious person, opening a gym, the Richard Steele Boxing Center in Las Vegas, Steele considered by autograph experts to be a good autograph signer overall, retired in2001 from referring. Joseph Anthony Hurry Sr., was born in St; Louis, MO., received a B.A. in Radio&Television Broadcasting, Boxed amateur while serving in the U.S.A.F., as the welterweight champion, he has a F.C.C. 2nd Class Radio Operators License, he has an A.A. Degree in Mass Communications, High School Wrestling Champion, learned karate while serving in the military, World Fight Channel Network is a niche market channel. Make the dream a reality, live it! Born in Washington, D.C. an actor, impersonator, and Olympic Boxing Champion, 1980. Currently doing a one man play on Muhammad Ali, "Ali, the man, the myth, the peoples champion." Starred with Will Smith in the feature film Ali. Also, child hero credited with saving the lives of neighbors trapped in their burning home. He is also a writer, producer, and director. Producer of "Boxing Inside/Out." Currently President of the Martial Arts Museum a lasting legacy of our martial arts history it is a non-profit 501 c,3 preserved for future generation to enoy. Famous actor and personality in Film, Television and Print. Will provide expert opinion regarding WFCN products, services, productions. Under Management with CAA. H.Q. instructor at the International Karate Association, Producer for the TV program "WAY OF THE DOJO." and Producer of a WFCN program titled: "THE MYSTERIES and MASTERS of THE MARTIAL ARTS."